Another character model I made for the ITV production HeadCases, a satirical programme about the world of Celebrities and Politcians. 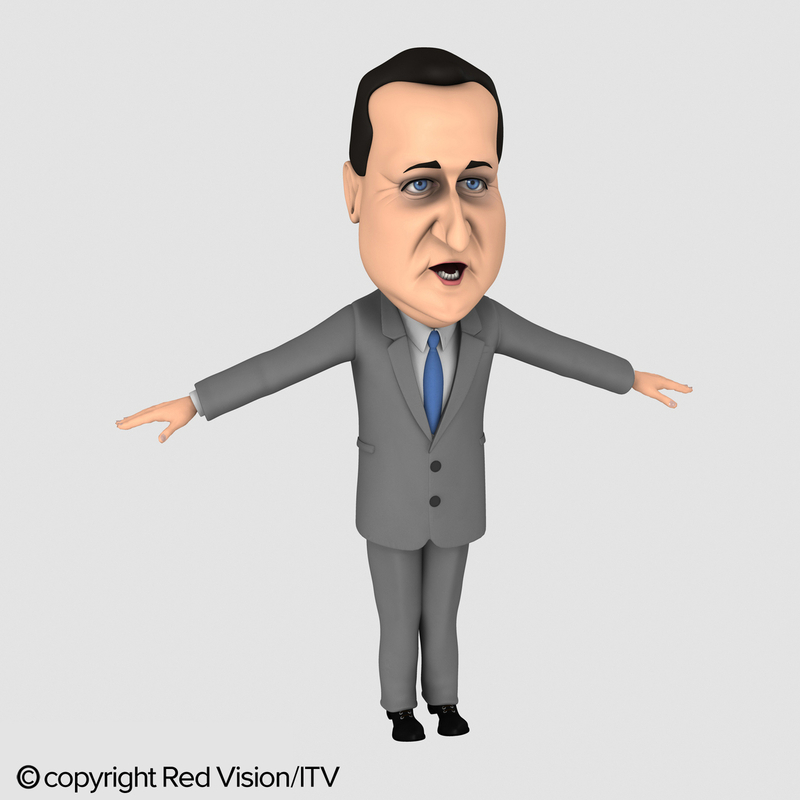 This model of Politician, David Cameron started from concept sketches by a talented guy called Mark Reeve. I then modelled it using Maya and Zbrush with textures being done in Photoshop. This model took around 2-3 days to complete.